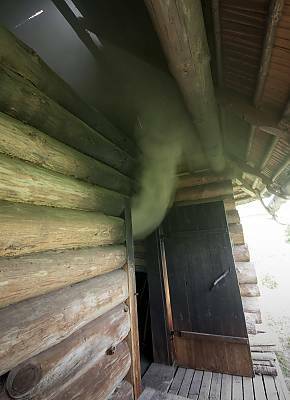 The smoke sauna tradition is an important part of everyday life in the Võro community of Estonia. It comprises a rich set of traditions including the actual bathing customs, the skills of making bath whisks, building and repairing saunas, and smoking meat in the sauna. 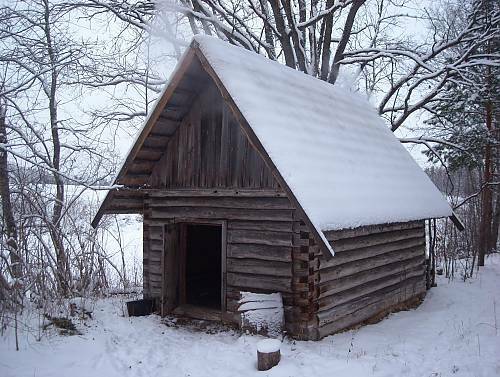 The sauna is a building or room heated by a stove covered with stones and with an elevated platform for sitting or lying. It has no chimney, and the smoke from burning wood circulates in the room. People usually visit the sauna together and remain until the body sweats. Water is thrown on the heated stones to produce hot steam-laden air and bathers beat their bodies with whisks to scrub off dead skin and stimulate blood circulation. After sweating, whisking, relaxing and possible healing procedures, people cool themselves outside and rinse their bodies with water. The procedure is repeated. The smoke sauna tradition is primarily a family custom, practised usually on Saturdays but also before major festivals or family events, whose main function is to relax the body and mind. Families take turns hosting each other. Usually an older family member is responsible for preparing the sauna, accompanied by children who gradually acquire the necessary skills. 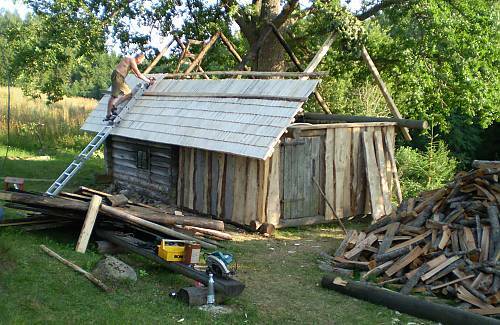 A typical Vöromaa smoke sauna: a small crossbeam building without chimney. Fire is burning in the stove, smoke comes out from below the roof. 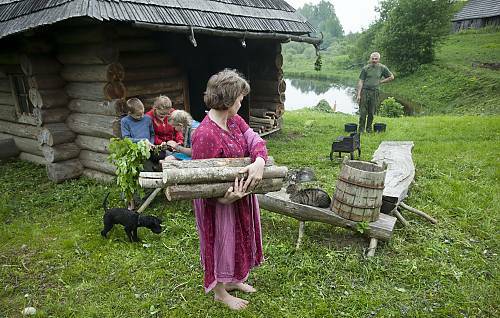 A family makes preparations for heating a sauna: firewood is taken into the sauna, water is carried, children make fresh whisks. 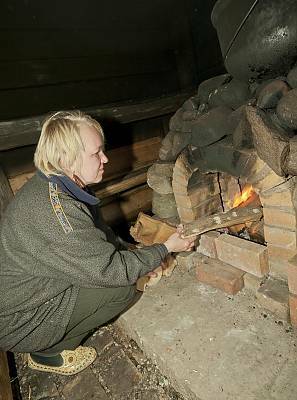 In the Vöromaa smoke sauna the stove is near the door and the wooden benches where the sauna-goers get a steam, are across the stove. Washing water is brought to warm in the sauna. A smoke sauna may also be built half into the ground. Such a sauna stays warm for a long time. 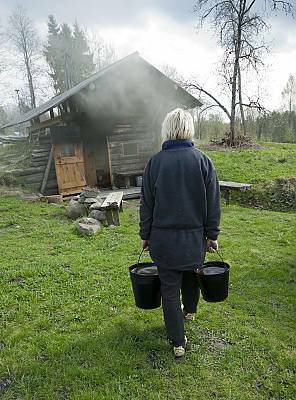 Water is brought to the sauna from a nearby body of water with buckets. At the beginning of the heating there is a lot of smoke that will be let out from the door. As the heating advances, smoke lessens. The air in a heated sauna is clean, because the sauna is aired before bathing. The sauna is "halfway" heated, there is no more smoke in the lower part of the sauna room. Firewood is added little by little. 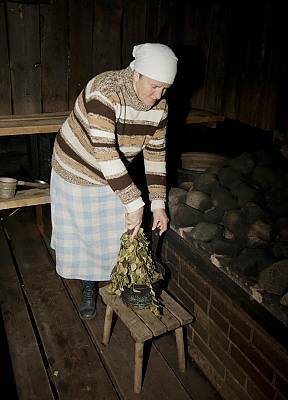 A dried birch whisk is softened in a water pot before going to the sauna. 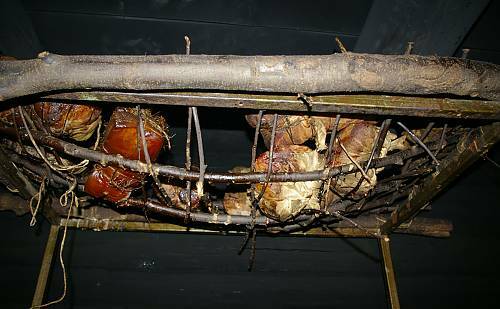 Salted meat is smoked on grills near the ceiling of the sauna room where the heat is appropriate for the meat to be baked through and permeated with smoke in 1,5-2 days. Such meat keeps for a long time. An old sauna gets new roof and front room walls. The master's tools are modern, but building follows old customs.